When the Deputy President says that load shedding is a sign of “growth “and therefore good, it is clear that majority growth with a culture of entitlement for free services, leading to free-riding on the backs of a minority of hardworking paying citizens amounts to no growth at all. In fact, this is unsustainable growth. Similarly, unfair policies like Affirmative Action, originally designed to take care of minority rights as practiced in many countries; remains reserved for the majority black African population. This has therefore resulted in the unintended consequences of the depreciation in the socio-economic lives of minorities. Indian people in particular especially in government jobs, are currently being heavily side-lined by the HR divisions. Many senior personnel have been told to retire early and take their packages at 55 years old. These professionals have so much more value to add to good governance. 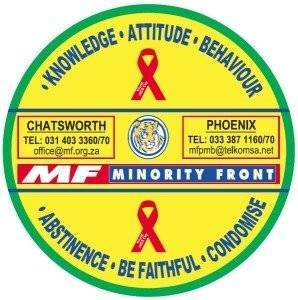 This effects SAPS and various departments such as Sports and Recreation, Education and Health. Even if officials remain, they will not get a promotion, whilst younger recruits catapult to become their bosses. Our Indian people are being deliberately excluded from our economy. Given South Africa’s economic instability, no political party would provide a safety net for Indian people. We have a number of dangerous situations growing in South Africa, firstly all our officials are being pushed but at 55 years of age from government jobs to make way for African youth and the unions are pushing this agenda. We have school management teams being taken over in a hostile manner in former Indian schools by SGB’s which are being hijacked by African parents and the department is silent. We have Indian students forced to go to China to study medicine and grow other economies; only to return home to no jobs or asked to work for “free”. Yet, the department of Health funds African students to study in Cuba, gives them jobs in urban hospitals and they have no practical training completed in Cuba. Hence, the litigation due to botched procedures is crippling the DOH. Cuban and Libyan doctors are employed due to political arrangements and our doctors told to leave, if they so wish. Brain-drain is encouraged by our political class and trade unions sit in cabinet, a situation unique to South Africa, giving us a “corporate government “structure. We need to take on this government with a “class action “to sober our politicians that Indians cannot be pushed around, just like the mining barons are taking on Eskom. 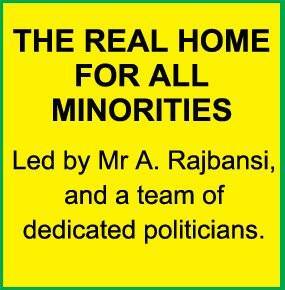 The Minority Front will support our people. Once again, our democratic experience is becoming bitter not better with family life shattered. 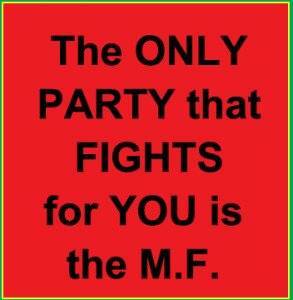 The only way to help ourselves is for Indian minorities to unite and fight for their dignity. 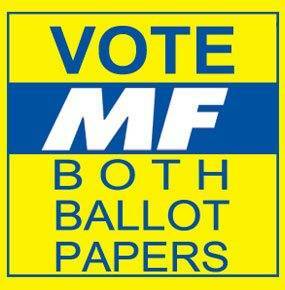 Unite behind the Minority Front and vote MF on both Provincial and National ballot papers. At this rate, South Africa will not achieve Goal 5 of the SDG by 2030, which is “equality” because our racist policies of Affirmative Action and quotas coupled with poor and flawed implementation of other pro-poor or economic policies e.g. : RACET for emerging farmers, imposes huge challenges which perpetuates inequalities. 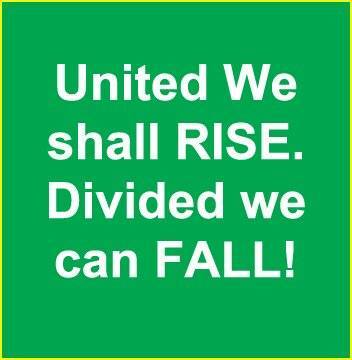 Only a new, broad minded progressive and Parliament responsive to the needs of Minorities will change our current fate and future. Your vote counts and it is imperative that Indians have a constant voice in both levels of Parliament in order to change these unfair policies and restore socio-economic growth through inclusion and merit.